If you are interested in becoming a “Trainer” and training others to teach etiquette, please contact us (info@etiquettesurvival.com) for a “Train-the-Trainer” program near you. All graduating Trainers will receive a complete Business Etiquette Kit which includes teaching materials and presentations for your classes and students. Specialty: customise business and social etiquette training for adults and college students. Also specialise in cross cultural training, image enhancement, conference & event planning, marketing & promotion, customer care & loyalty programme. Specialty: Elegance & etiquette training, conference & event planning, marketing & promotion, customer cares & loyalty programmes. With a 20 year blue-chip corporate background, Alistair takes students on an insightful journey into the nuances of Savour-Vivre and Savoir-Faire and how to adapt them into our professional and social environments. A small team of seasoned professionals, targeting both the corporate community and those whom wish to understand and implement social graces into elevating their social profile and asserting themselves professionally. Alistar conduits etiquette and protocol seminars throughout Europe, Hong Kong, and Mainland China. Specialty: Creating a lasting impression socially, in the business arena, and internationally with professional interpersonal skills that develop self-confidence, authority, and a winning image. Specialty: Irene Dobles is associate founder and Executive Director at Idem Eventos Corporativos, a subsidiary company of Idem Soluciones Empresariales S.A. Since its beginning in 2005, she has been in charge of the organization, coordination and logistics of local corporate events – meetings, conventions, grand openings, Board of Directors meetings, Sales and Marketing meetings, cocktails, social events and others. As part of Irene’s Hotel Management professional background, she carried out several management level positions within Marriott International, Inc. since the opening of its first hotel in Costa Rica in 1996. Back then, she worked as International Sales Manager, developing new markets, both corporate and leisure, for the Costa Rica Marriott Hotel; as well as carrying out direct sales efforts within the local travel industry and corporate and travel clients throughout the United States, Canada, Latin America and Europe. 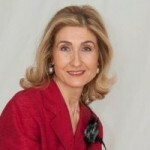 In the year 2000, she accepted the position of Executive Assistant to the Hotel’s General Manager, taking charge of its Corporate Affairs and Public Relations, especially those issues related to the government, business associations and commercial chambers, and with the company’s office headquarters in Washington D.C. Irene was also in charge of coordinating the Corporate Social Responsibility initiatives for the hotel. Three years later, in 2003, she moved on to a more challenging role, and accepted the management position at the Marriott International Sales Office (GSA), representing in Costa Rica all the company’s brands: JW Marriott Hotels, Marriott Hotels & Resorts, Renaissance Hotels, Ritz-Carlton, Courtyard, Residence Inn, Fairfield Inn, New World Hotels, SpringHill Suites, TownePlace Suites, Ramada International Hotels. She had previously worked as Public Relations Manager for the Costa Rican Investment Promotion Agency, CINDE during the 1994-1996 period. Irene was also part of the country’s diplomatic mission when she worked as Commercial and Tourism Attaché at the Costa Rican Embassy in Rome, Italy during the 1993-1994 period. Specialty: Cross-cultural training and relocation service for families coming to India. Global Adjustments prepares Indian Business Professionals relocating to the West for work. Fabiana is an expert in the following fields: Image Consulting, Personal Styling, Verbal/Nonverbal Communication, Social Etiquette and Business Etiquette. Specialty: Ophir Consulting helps organizations create the “wow” experience through all areas of Etiquette Training for children, teens and adults. We also offer Customer Service Training and Mystery Shopping. Send your questions to etiquette.training@gmail.com. Specialty: Lee Sung Ting is recognized as one of the most dynamic young entrepreneurs in the area of training and development in Malaysia. Her diverse working experience includes; marketing executive, personal assistant to a Member of Parliament, Master of Ceremonies, TV presenter, columnist and trainer. She has been featured on many Radio and T.V. shows, and written about in local newspapers and magazines. Sung Ting is a graduate of ISCA and holds a Master Degree (MBA) from University of Humberside, UK. Specialty: Eva Wedding & Event Planner provides advice and services in the areas of corporate and social event planning in the broadest sense. Corporate events include: conferences, meetings, fundraising activities, receptions of companies, charities, non-profit organizations etc. Social events include: weddings, birthday parties, anniversary celebrations, children’s parties, and reunions. Dining, Social and Business Etiquette training is also provided upon request. Eva & Bryan Isselt have over 15 years of experience in the field of wedding & event planning. Improving the productivity, creativity and profitability of businesses and building the generation of outstanding leaders in our society. 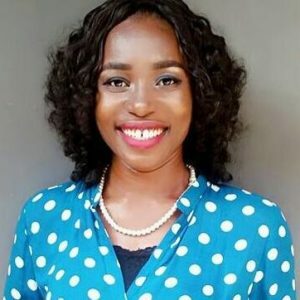 Damilola Ogunremi has spent sixteen years working in education, where she worked with children, pre-teens and teenagers and taught variety of different skills. She has Diploma in Scriptwriting-TV, Film, Stage & Radio from a prestigious college in UK and proceeded to work at Disc Communication Cable TV, presenting Don Pidgin English live program. Passionate about how to act properly and appropriately in different situations, she obtained training from the IAP Career College in Calgary Canada in Etiquette and Image, and has since explore the field and advance in her career, offering free etiquette classes. With encouragement from friends and family, Damilola started DRS Etiquette and Image Consulting in 2014. In her free time, Damilola teaches phonics class helping children and adults improve their English pronunciation skills. She also runs a blog at Authors’ Curtilage, and loves promoting books, creative and productive contents. Grateful for a highly lucrative career, Damilola makes sure to provide tools for her clients to be successful even when it’s not unconventional. DRS Etiquette and Image Consulting is one of Nigeria’s leading Certified Etiquette & Image Consultancy. Our Training facility is a nice building located in Balarabe Musa Crescent, Off Samuel Maruwa Street, Victoria Island Lagos. We specialize in image, makeup and brand consultations, children and teen’s etiquette, business etiquette and protocol for official and diplomatic realms. Speciality: Learn & Share focuses on etiquette and social graces for young adults and children. Our efforts are directed towards supplementing the efforts of parents and providing etiquette skill brush ups before special events. We also provide basic business and social etiquette coaching to college graduates to begin their career. Sect. 62, Lot 18-19 Morata St. Specialty: Ms. Pangestu designs and manufactures clothing for a large professional client base. In her business, Kokoda Tailoring, she found that professional dress and image goes hand in hand with business and social etiquette training and professional development. Specialty: Wardrobe planning, personal shopping, and make-up consulting. Etiquette classes conducted for teenagers and young adults. Business etiquette seminars for professionals and groups. 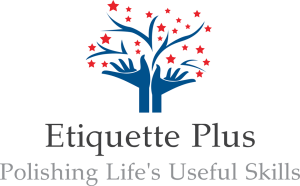 Specialty: Etiquette Essentials International is dedicated to providing children and young adults with knowledge and understanding of morals, values, and the importance of good manners. We facilitate corporate executives in business etiquette in areas of dining etiquette, body language, office etiquette, grooming and deportment, culture diversity, and communications skills. The Image Firm is a holistic Personal and Professional Image Consulting Firm founded in 2005. We partner with our clients to develop and facilitate programmes which contribute towards Self Awareness, Personal Presentation and Professional Presence by equipping individuals with skills necessary to ensure that their personal and professional image does not detract from their productivity and commercial efforts, or the image of their companies. The company is owned and managed by Television Presenter, Image and Etiquette Coach, Doris Msibi. The Image Firm offers tailor-made Impression Management Solutions from reception to the boardroom based on the ABC of image: Appearance, Behavior and Communication. Our programmes contribute towards Self Awareness, Personal Presentation and Professional Presence. We offer services to individual clients, formal and informal groups, corporate companies the public sector through coaching, group workshops, one-on-one and group seminars. Phone Number: 082 858 7182 / 011 025 3498. Fax Number: 086 517 4262. Charlotte started her training by completing her Finishing and Deportment Diploma at the age of 14 and after completing school, spent two years obtaining her Health and Skincare Diploma at Camelot International which was concluded in 1995. From there, she very soon realized that she enjoyed working with people, and after a few years of retail experience decided to venture back to the world of student life and completed a B. Com in Marketing Management at RAU. From there she had the wonderful opportunity of becoming Camelot Internationals Marketing Manager and developing their finishing school modules. Whilst there, she completed her Assessors, Train the Trainer as well as Moderators Certificates. Her many years of work experience and travels have convinced her of the importance of etiquette and civility in our everyday lives, as well as at our places of work. She is proud to say that she has practiced and lived her life, according to what she teaches. Speciality: Apogeum Academy is a premier coaching and consulting firm offering services and private consultations as a corporate groomer, aesthetics, style, etiquette and personal presence expert. Margaret Bartmaski is the Founder of Apogeum Academy, her focus is on empowering people to reach personal and professional success. Her aim is to create a better understanding of people in diverse business and social environments by emphasizing the importance of respect, diplomacy and civility in every aspect of life. She strives to incorporate their proper use in 21st century context, helping everyone to become more aware of and sensitive to the ways in which to conduct their lives. Specialty: Ronelle has more than 15 years experience as an Image & Style Consultant in 3 different continents, Europe, South Africa and North America. 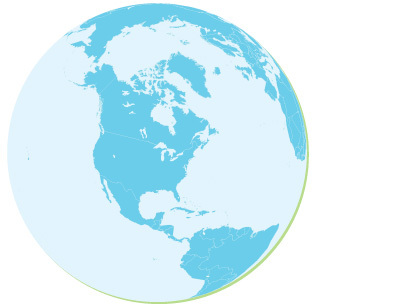 She offers consulting services in six different languages. RBB Image Consulting offers Personal and Corporate Image Consulting. Physical Appearance (Color Analysis & makeup, Style Analysis, Wardrobe, Men’s Consultations, Brides & Grooms, New Moms Packages), as well as, Behaviour and Etiquette classes on International Business, Dining & Restaurant, Teenagers, Social, Protocol & Civility and Communication. Workshops include the following topics: Body Language, Human Relations, Conflict Resolution, Corporate presentations. Workshops are available for small and large businesses such as; Model Agencies, Financial Institutions & Insurance Groups. Personal Shopping for corporate groups, small private groups or one-on-one private consultations. L’Elegance Consultancy was founded in January 2012 by Amna Mohammed. L’Elegance specializes in business etiquette, international protocol and image consultancy training. The company also focuses on corporate development training,leadership, communication and customer service. Amna’s diverse range of effective communication skills, self-development interests and language skills lead to her success in the development of many unique projects both in the UK and throughout the Middle East region. She also has a background in fashion design and styling and image consultancy for corporate clients and individuals. L’Elegance is an innovative company— one of the first of its kind in the UAE and the Gulf region providing training in international business etiquette, social etiquette and protocol for international VIP’s, official and diplomatic realms. We believe that regardless of your profession or career position your social and business manners have a significant impact on your success. Hence the importance of polishing one’s international etiquette skills to enable you to tackle any situation from greeting and entertaining VIP clients to setting a proper table for a formal meal with confidence and knowledge. 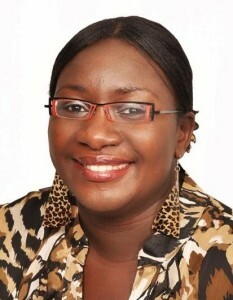 Laura Akano is the principal Coach, Consultant and Trainer at Polished Manners, she has worked with children and young people for several years. It is through this direct experience that she decided to train as an etiquette coach. Becoming an etiquette coach was a natural progression as she has always been interested in learning about etiquette and is always keen on instilling and encouraging good manners. Previously, Laura worked in various administrative, customer services and retails roles. She originally trained as a dress designer and also studied fashion merchandising, she later went on to study social sciences with the ‘Open University’. In recent years she acquired various child care qualifications whilst operating out of school clubs and holiday camps. Laura is married and is the proud mother of two young ladies who happen to be her inspiration for the youth programmes. Specialty: Experienced Etiquette Expert passionate about empowering children and young adults with the knowledge of etiquette and fine dining skills. Our mission is to teach children and young adults the social skills they will need to make themselves and others feel comfortable anywhere for the rest of their lives.